Photo by James R. Brantley. The Folger Shakespeare Library's 2018 Gala was a stunning success! Thanks to the generosity of our sponsors, guests, and donors we raised more than $400,000 to support the Folger and its impact in driving discovery, transforming education, and creating experiences. We extend our deepest thanks to Gala Co-Chairs Vinton and Sigrid Cerf, as well as to our Gala Committee. Their leadership and dedication helped us greatly in achieving this success. We also wish to thank our Honorary Co-Chairs, The British Ambassador and Lady Darroch, for their continued patronage. Nearly 300 guests enjoyed cocktails in the Great Hall while viewing our current exhibition Beyond Words: Book Illustration in the Age of Shakespeare. The entertainment in our magnificent Elizabethan Theatre was spectacular! 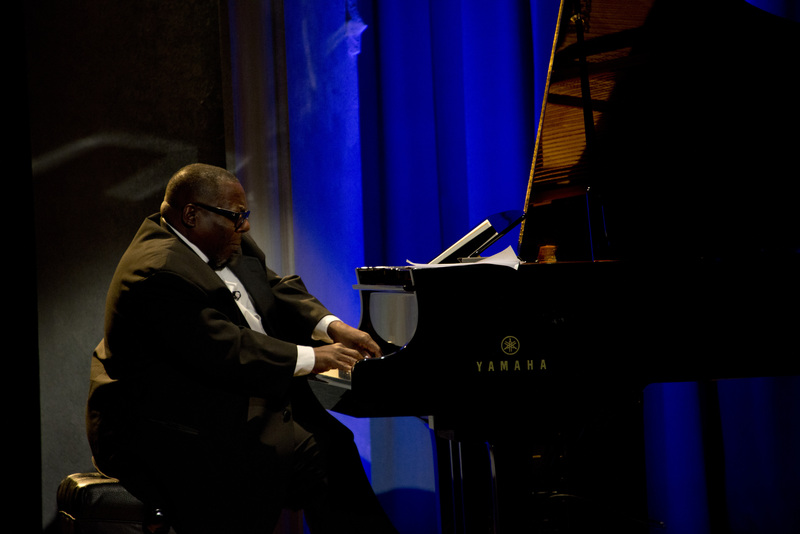 From electrifying performances by Sir Derek Jacobi and Richard Clifford, to beautiful music from Erica Dorfler and jazz legend Cyrus Chestnut, it was a truly memorable experience for all. The exquisite dinner in the Folger’s beautiful Reading Rooms was a perfect ending to the evening. If you were not able to join us you can view pictures of this wonderful evening at the Folger's Flickr Page. You may also still support the 2018 Folger Gala by making a fully tax-deductible donation. Be sure to also save the date of Monday, April 15 for the 2019 Folger Gala!